PlayerUnknown’s Battlegrounds or simply PUBG is a multiplayer online game which is currently ruling the market from since quite a long time. PUBG was an online multiplayer battleground game where 100 people gathered in a plane and then they had to jump from the plane empty-handed with a parachute on an island. They had to collect guns, grenades, pans, healers etc by themselves and had to kill others by showing their skills without being killed. A person who remained unkilled till the end wins the game and get the virtual dinner as the company claimed ‘Winner Winner Chicken Dinner’. Brendan Greene was the man behind the super hit game ‘PUBG’ which just boomed the gaming industry. Brendan Greene was earlier a Web Developer and a Photographer in Brazil. He was born in Ireland. He moved from Ireland to Brazil to worked there. He married there in Brazil but, everything didn’t go well and it was ended two years later. Then, he came back to Ireland and started working right itself in Ireland for his living. He modded a game called “Arma 2” into “DayZ: Battle Royale” and it grew into a huge success. ‘Daybreak’, a game development company, was quite impressed by the Greene’s success and they recruited the Greene. But, things didn’t go right for a long time and Greene left the company. He then joined the South Korean game development company, ‘Bluehole’ as creative director. The people at ‘Bluehole’ were impressed by Greene’s idea of developing a battle royale game. In 2016, the work on the famous battle royale game ‘PUBG’ was started. 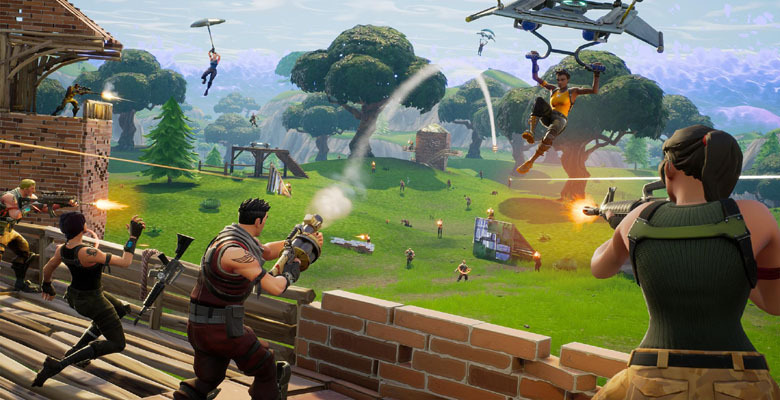 It took almost a year for the development of the hit battle royale genre and it was finally released on March 23, 2017. It was earlier released on the video game streaming platform ‘Steam’ and became a huge success in a little time. The game title sold it’s 50 million copies in just a year and a half after its release. It became the top in the list of most popular games beating already successful titles like ‘Counter-Strike: Global Offensive’. Three more versions of PUBG was also released later. The Xbox version was released by Microsoft Studios for the Xbox One under its Game Preview program on December 2017 and was released officially on September 2018. The same year the game was released for other two mobile platforms Android and IOS the same year and the title sold it’s 50 million copies till June 2018. Follow our below guide on PUBG PC download. How to download PUBG for PC? The game can be directly downloaded from the Steam store website for the US $ 29.99. 2. The user had to just visit the official Steam store site and had to log in into the Steam store account. 3. After logging in to the Steam account, the user can add the game to the cart and buy it later. 4. A new window will appear in front of the user stating that he wants to buy the game either for himself or a gift for others. 5. If the user clicks on ‘Purchase for myself’, then the user just had to give his credit card details in order to buy the game for himself through Steam. 6. If the user clicks on ‘Purchase as a gift’, then, the user has to select his friend to whom he/she wants to gift the game and then had to pay the amount. The Steam will send an email to the receiver stating that he/she had received this game as a gift and the receiver can directly get the access game through his Steam account. 7. Then, the user can directly play the game by logging in into his Steam account. So, this is the complete way to get the PUBG PC variant from the Steam. There is also another version of PUBG game which is hugely popular among the PC users. Actually, PC users play the PUBG mobile, the mobile variant of the PUBG on the PC with the help of an emulator. Earlier, when the PUBG mobile was launched, PC users started playing the mobile version game on the PC with the help of third-party emulators like ‘Bluestacks’, ‘NoxPlayer6’, ‘Memu’, etc. But, the problem with most of these emulators is that they were not powerful enough to handle the PUBG mobile game efficiently and smoothly on a moderate specs system. They often get crashed resulting in a completely ruined game experience. Emulators are nothing but a piece of software which lets a user run a software or an app inside a system which is earlier not intended to run on that system. So, a huge need for a stable emulator to play PUBG mobile on PC smoothly and without much lags aroused because a lot of players including the normal players and famous Youtubers and Steam players were trying to play the PUBG mobile on PC. But, due to the lack of a powerful emulator to handle the PUBG mobile on PC efficiently, the PUBG Corporation decided to launch an official PUBG emulator called ‘Tencent Gaming Buddy’. It was much powerful than the existing emulators and was able to run the PUBG mobile more efficiently and smoothly than other emulators. DOwnload the official PUBG emulator- Tencent Gaming BUddy. 2. Register for a new Steam’s account. 3. Then, log in with the credentials of your Steam’s account inside the gaming buddy emulator. 5. PUBG mobile will start normally as it does in a mobile. 6. Wait for some time to get loaded and then play PUBG as usual. People who can’t afford to buy the PC version of PlayerUnknown’s Battleground can easily use the above method to download and play PUBG mobile on their system and can simply play and enjoy this great game. Although, there is a huge difference between the gameplay of the PC version and the mobile version of the PUBG, still, people can play the PUBG. In this article, we had learned about the PUBG games for PC Download. We looked two ways by which one can play PUBG in PC.